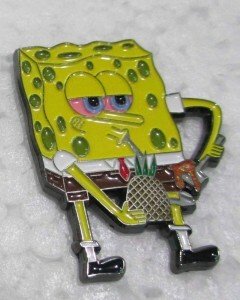 Patches and pins are 2 classes of pop culture ephemera that have recently exploded in popularity. 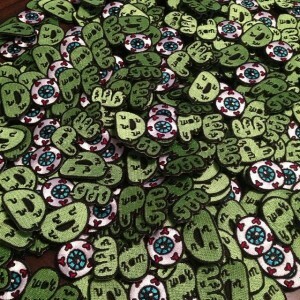 Cheap, quick to manufacture and with a multiplicity of uses; pins and patches have come to dominate the commercial side of the DIY weirdo art scene lately. 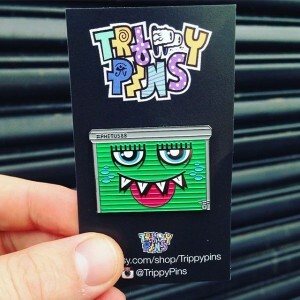 ‘Trippy Pins’ – run by Brandon Cohen outta NYC in the USA – is one of the companies at the forefront of this trend, producing high end, limited edition pins, patches and other accessories that have been embraced by weirdos and art fans world wide. Brandon Cohen, August 9th, 1986. City, State n Country your from? 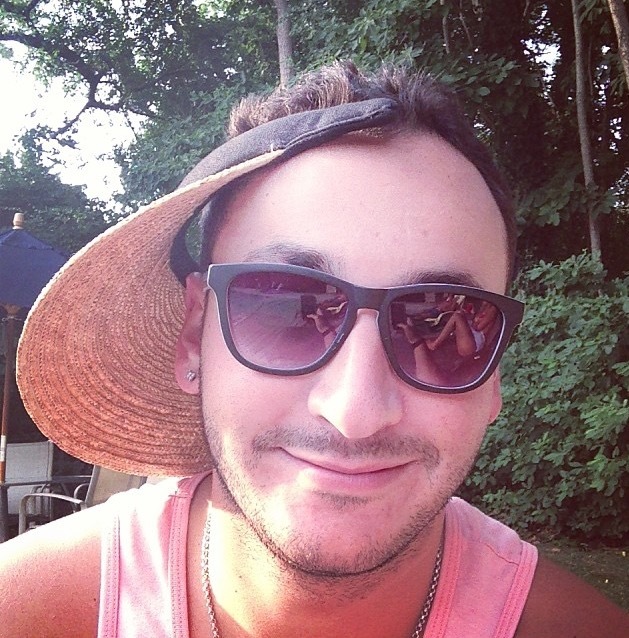 Describe a memory from some stages of yr life ….basically trying to piece together your pivotal moments. Concerts, art, action-figures, romance, school, crime… ANYTHING man! My mother Amy was a sweater designer and always kept me looking fly. 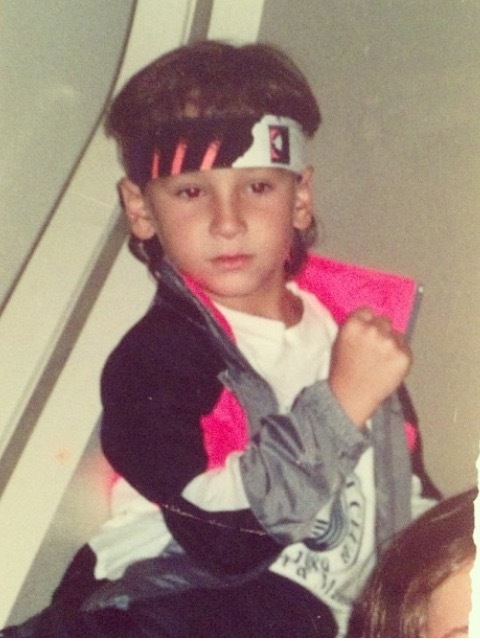 From an early age I had an appreciation for unique clothing/design. I took it upon myself to have my parents to take me to the local off campus convenience store on visiting day to load up on black market soda and unload them to my fellow campers for a hefty profit. I started my first street-wear brand and learned a lot about production, sourcing, distribution. Why the name ‘Trippy Pins’? 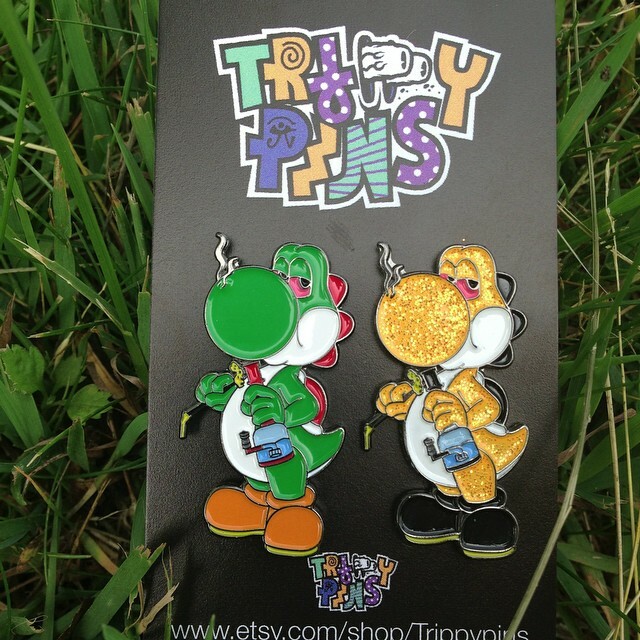 I felt a certain “genre” of individuals would gravitate towards the name Trippypins, the same culture of people who collect/appreciate these tangible works of art. What else do you do art wise aside from sling pins and patches? I don’t really create art per se, I’m more of a visual artist in the sense of seeing designs/ideas in my head and then carrying them out. I don’t personally sketch/mock up anything that I work on, it all comes from my head. 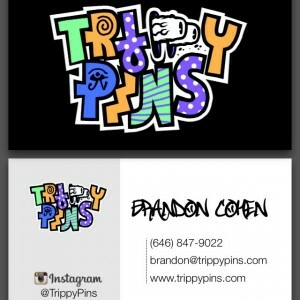 Currently Trippypins consists of me, my assistant, and the factory I have been working with for the past five years. Step 1: Coming up with an idea/collab: We either come up with a concept from scratch which a graphic designer will carry out or we’ll find a ready made design which we feel would translate into a great pin. Step 2: We create a mock-up of the design to show our client, or see for ourselves how the pin will look prior to production. During this phase we’ll also make any revisions we’d like prior to arranging production with the factory. Step 3: Arranging production – We give the instructions to begin production and three weeks later the pins are delivered. Step 4: Receiving the pins: It is an exciting feeling every time the DHL man arrives.. We make sure to break down the orders and ship out to our clients as quickly as possible so the excitement is short lived but always present. Step 1: Coming up with an idea/collab: We come up with an idea. Step 2: We send it to our manufacture to sample. Step 3: We decide whether the sample is good enough to move forward with into production. Step 4: Production – Takes about two weeks and are delivered along with the pins. Step 5: Receiving the patches – Always slightly more exciting for me personally. 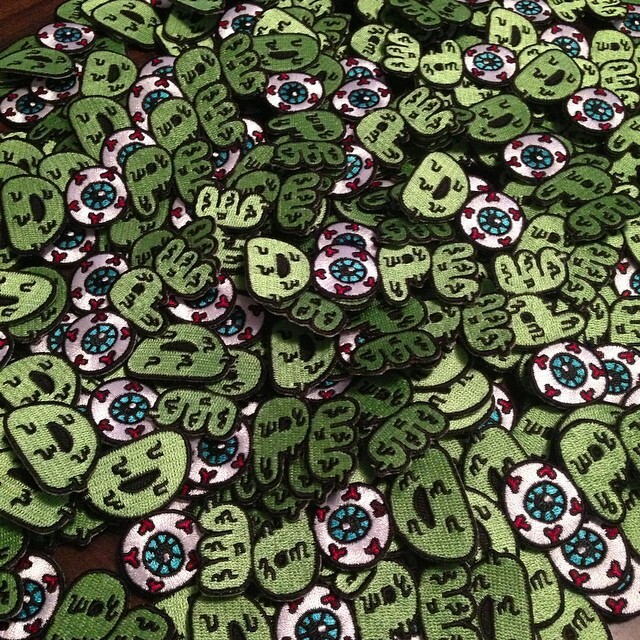 Reason being, patch designs are simpler to design so they can be carried out directly through my factory. The end result is a patch that I have had played more of a direct role in bringing to life. 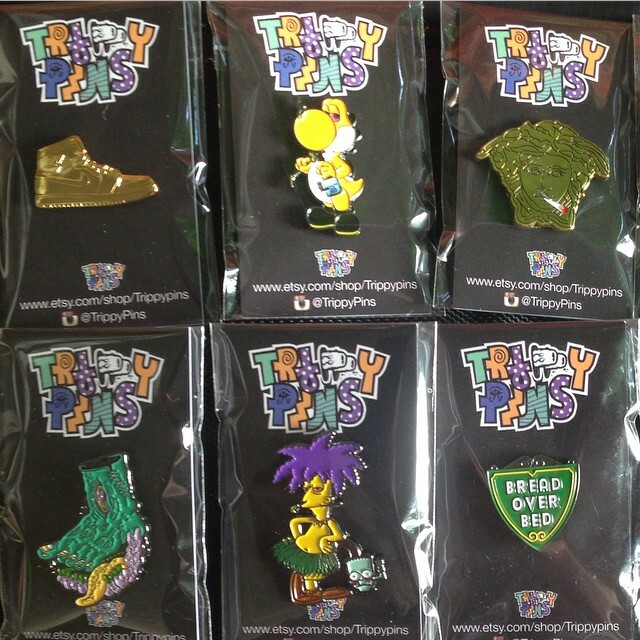 What are your thoughts on the current rise of the pin + patch scenes? 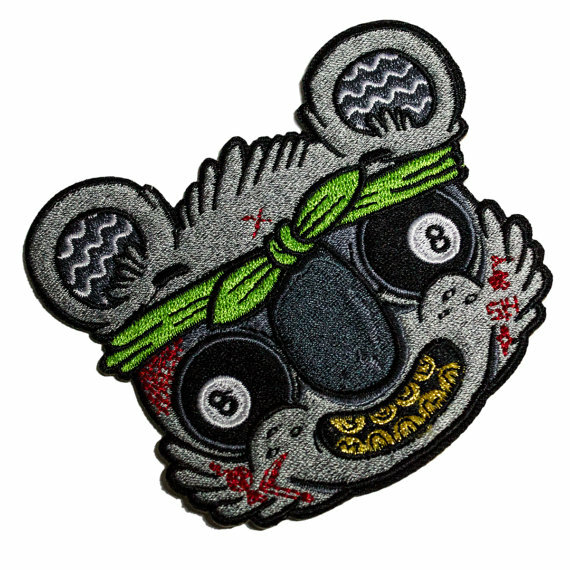 It’s exciting for me, I created my first pins and patches in 2011 while I was working on a streetwear brand so initially they were peripheral products for me. Now they’re my bread and butter so it’s awesome that the market has shifted to appreciate these types of accessories. 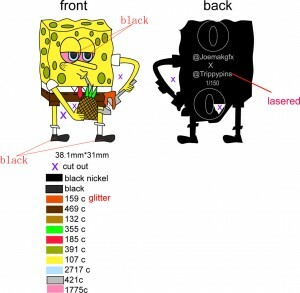 What was it like working with ‘GrimJob69’ on your logo? It was great, Grim is a beast when it comes to graphics and has one of the most unique styles I have come across. It was a natural fit to have him create my logo. …And working with Russell Taysom on the “Dope” patch you recently released? Russell is awesome to work with, he’s very creative and has a great style. When I was checking out his different designs the Dope patch was a no-brainer for a patch design. That product was actually our second collaboration, the first one we did was a lapel pin called Pepperoni Stoney. The amount of competition forces creativity and distinction between each artists/companies style/offerings. I consider what I make to be tangible pieces of art. 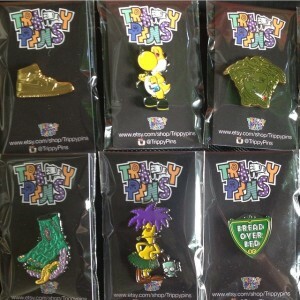 The pins we make are extremely high quality which excellent detail. 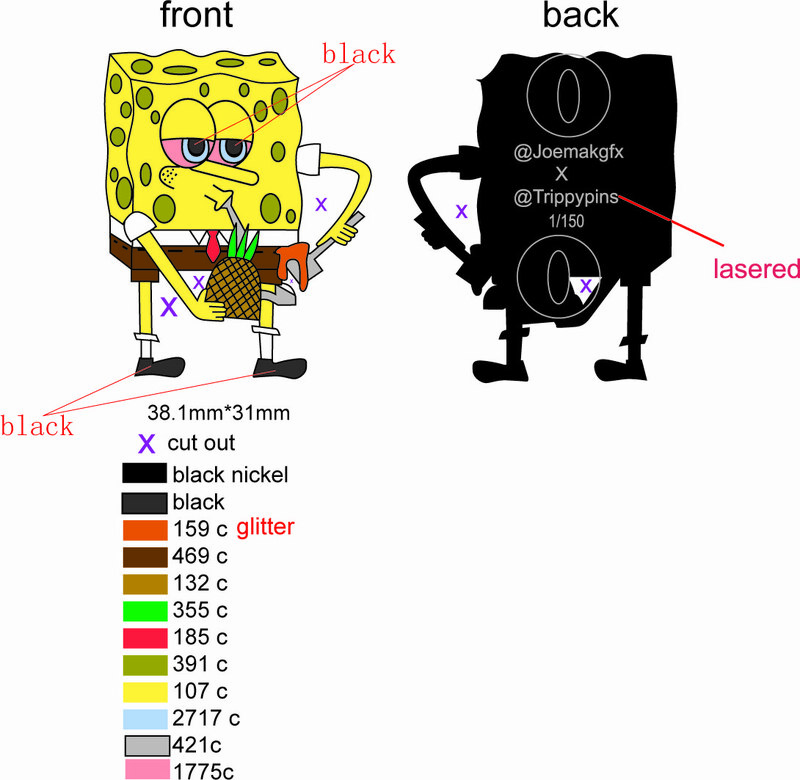 They also include the names of the different artists laser engraved on the back and numbered for collectibility. Certain designs are more creative than others of course, but they’re all great in my opinion. When and why did you first start making ‘art’ (drawings, paintings, anything)? I started drawing at a fairly young age. What did you draw and make as a pre-teen child? What did you draw and make as a teen? I remember creating a special mask after watching the Lion King movie. It was large in size and made from paper mache, with orange pieces of material which were strung through holes on the outer edge of the mask to replicate the look of a mane. 2011, I wanted to create a streetwear brand which brought art to life. 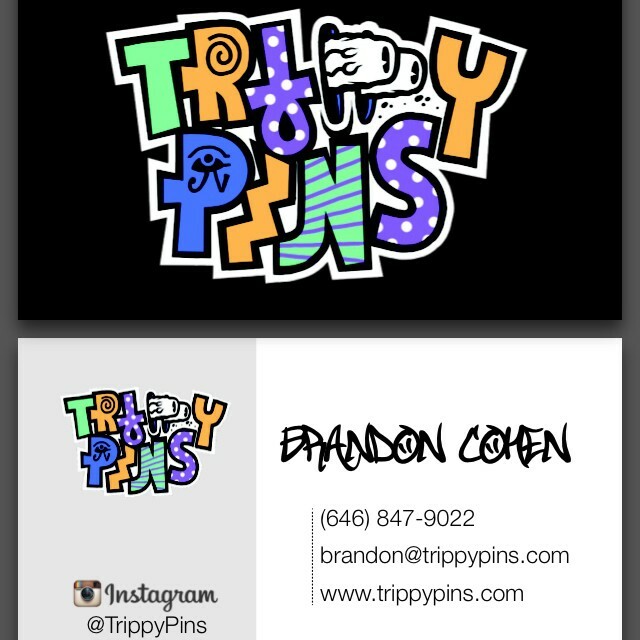 Coincidentally with Trippypins I’m doing the same thing just on a larger scale. How, in your opinion, has the rise of platforms such as Instagram impacted the life of an artist, and the scene in general? I think platforms like IG have been a blessing for a lot of artists, as it’s a medium that connects them with the rest of the world in a way that they haven’t been able to connect before. 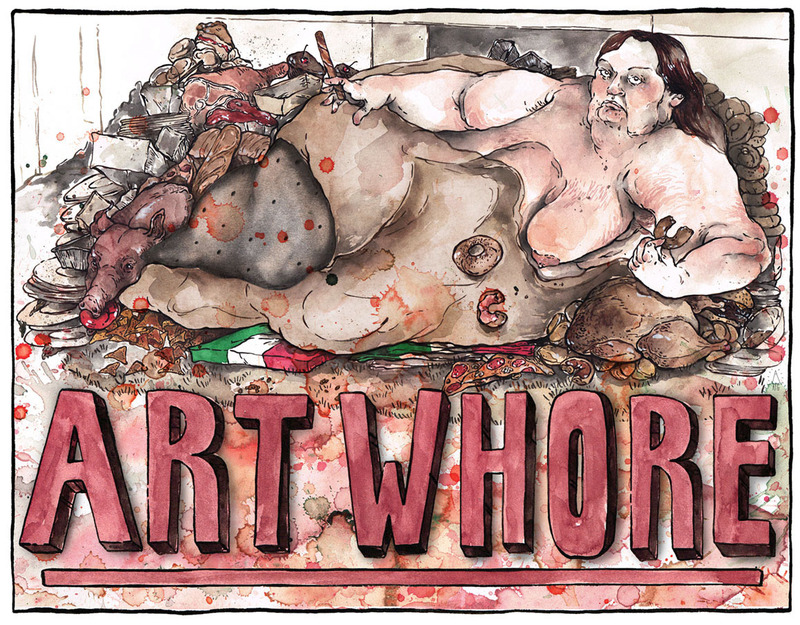 It’s also a great confidence builder for an artist who is unsure about developing a particular style, etc. When they see a certain level of support tied to a certain design they were unsure of, it gives the extra push of support they possibly needed to go explore that style further. Any artist can be approached now via DM, or the comments if someone really likes their work. It makes collaborations, and communication with artists much easier in general and avails them to the marketplace. Please describe your experiences growing up in America? 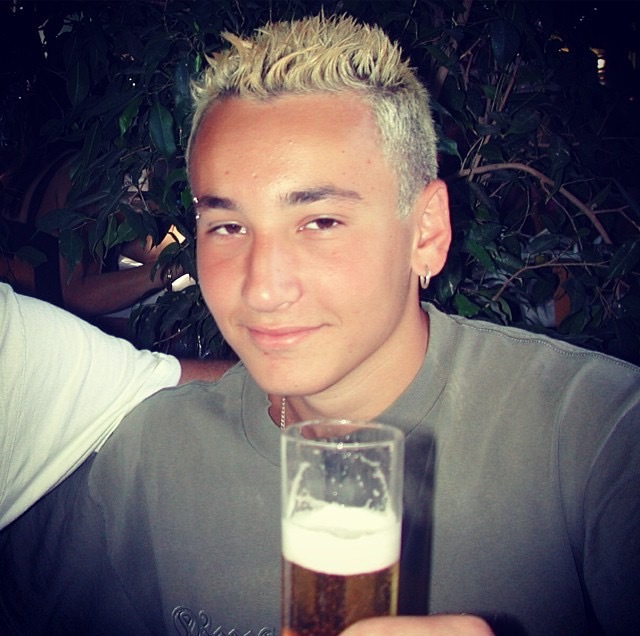 America has been a great place to grow up. 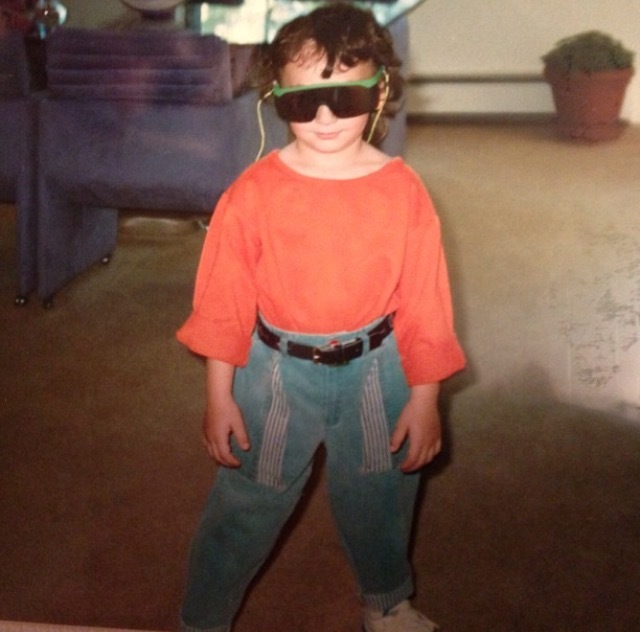 I was born in New York City and lived there until I was about five years old. I was born in 86’ so it was a dangerous time to live in the city but I remember it being great. We later moved to Roslyn, NY and lived the suburban life. It was a nice place to grow up, we had a pool, dogs, and an overall enjoyable lifestyle. Her name was Morgan, I don’t remember why I liked her but I do remember accidentally pushing her off a swing and breaking her arm… I had to call to apologize later that day. 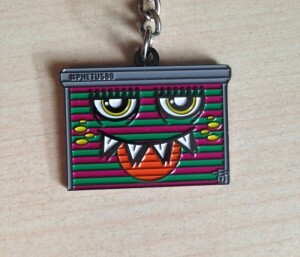 I’d like to be remembered for creating great pins, and bringing unique art/designs to life! Depending on which ones, they can be the gateway to the universe. Pepe le Pew – Because he talks that “Stick talk”. Who would win in a fight and why: a redneck on his way home from the pub Vs. An inner city art student? Redneck on his way home from the pub. 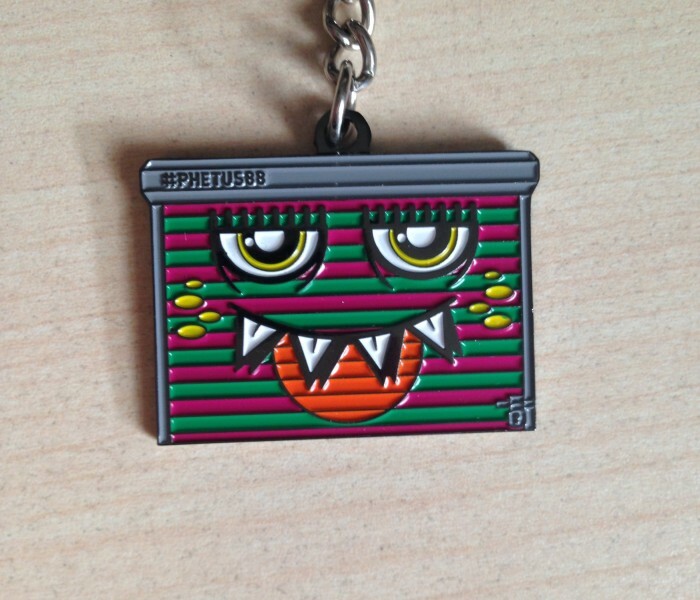 – Last month I started working with Graffiti legend Phetus (@phetus88) on a pin called Phillgates which has been extremely well received. 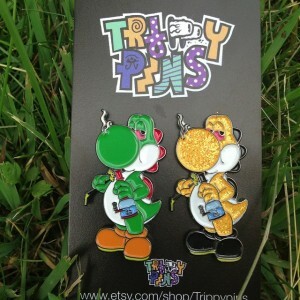 We plan on dropping many more pins together as well as our first keychains coming around Thanksgiving. – For Thanksgiving/early December you can expect a couple of exciting drops from Russell Taysom, Sike One, and a new artist @GGE_slapking. – I have also teamed up with an Art collective out of the BX called Brain Matters with our first pins coming this around the same time. I definitely want to hype my new website, at the time of this writing it’s at about a week or so from being complete. It’s been a long time coming, but I’m extremely satisfied with how well it’s turned out. Look out for the launch December 15, right in time for Festivus!